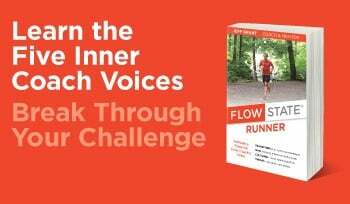 In Flow State Runner, I share insights and lessons from a select group of runners on why they are motivated to run, how they’ve experienced flow in running, and their lessons learned. One of the most fascinating runners I profiled was 87-year old Senior Olympian Runner, Charlie Baker. In this article, I have the opportunity to share more of his story, interview and photos. He’s a great man, and we can learn much from runners and athletes in his generation. First, let’s get to know Mr. Baker. 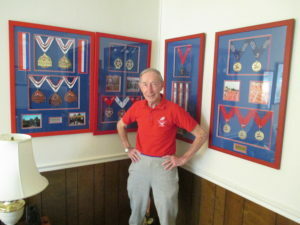 At 87, he has earned a collection of medals, many of them Gold, in the National Senior Olympics Games in the United States. 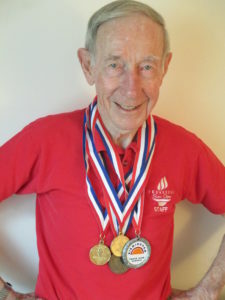 He started competing in track and field events in his mid-60s. That’s right, he decided in his mid-60s to take up the sport of sprinting, throwing and jumping! With each conversation that I’m fortunate to have with him, I am utterly amazed at his vitality and enthusiasm for not only lacing up his shoes to run, but to compete. Mr. Baker expresses earnestly, “Running has meant a lot to me. It has kept me in good shape and kept my mind on my objective. I love racing. You need to work on it though. There is a certain amount of training which you have to do, but I absolutely love it. 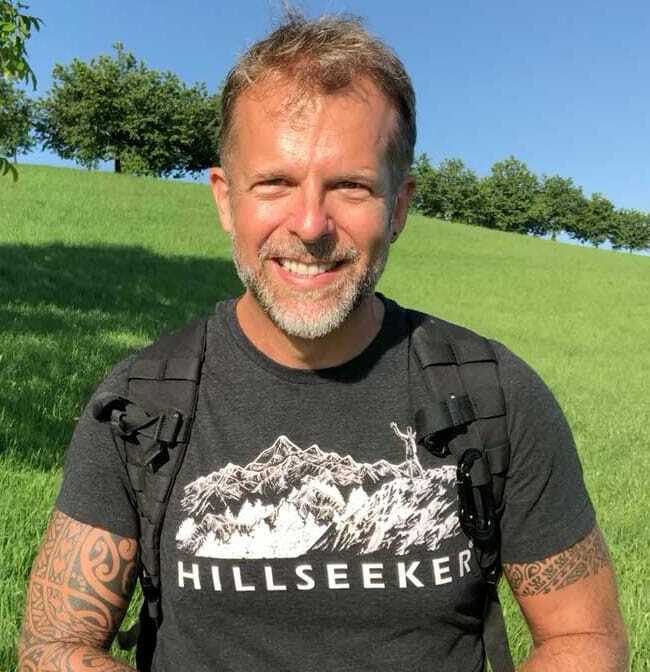 Had I not been in the Senior Olympics I probably would have already died.” With this insight, he shares perhaps the most powerful motivator I have ever heard: life. I have always enjoyed running but our high school had other sports, but did not have track, so I just ran for fun and played other sports. After graduation from high school, I immediately went into the Navy Air Corps. After getting out of the Navy I went to college and did get to run some track my first two years. Following graduation, I immediately started working for DuPont Chemical Company in Delaware and then in Chattanooga, TN. I essentially gave up track until I retired from DuPont after 42 years! I was 66 years old at that time. Since that time I have continued to pursue track in Senior Olympics and other events. 2. What attracted you to competition? When I retired and had time to get in shape, I really enjoyed running. Track is a great sport. It is an individual sport, which motivates me very much. I always try to win – even in a practice run. I do not like to lose in a real race! 3. What has running meant in your life? I love track. You need to work on it to be good. There is a certain amount of training which you have to do. Had I not been in the Senior Olympics I probably would have already died. Running has meant a lot to me. It has kept me in good shape and kept my mind on my objective. If I could only compete in one event, it would be Track and Field, where there are eight or nine events! It is never too late to start your journey as a runner. Your running career starts when you decide it starts. Flow happens when you spend time doing the things you love to do. Let’s honor his wise words as well as our own longevity by continuing to run and play! Author’s Note: Thank you to Meg Lance for your time and great work interviewing Mr. Baker and Rick Lance for your photography! August Digital Detox 2018 –> are you IN?